I’m really not a fan of eggs which bugs me as they’re a great source of filling and healthy protein. I think what I don’t like is the lack of flavour. I’ve tried to combat this with my take on egg mayo and I think it works pretty well. This could well be a new lunch staple for me! Bring a pan of water to the boil. Add the eggs and boil for 5mins. Put the eggs into a bowl of cold water. After 5mins change the water and leave for another 5 mins. Peel the eggs and place into a clean, dry bowl. Chop the eggs into small pieces. Stir in the yogurt, tomatoes, spring onions and chives and season to taste. 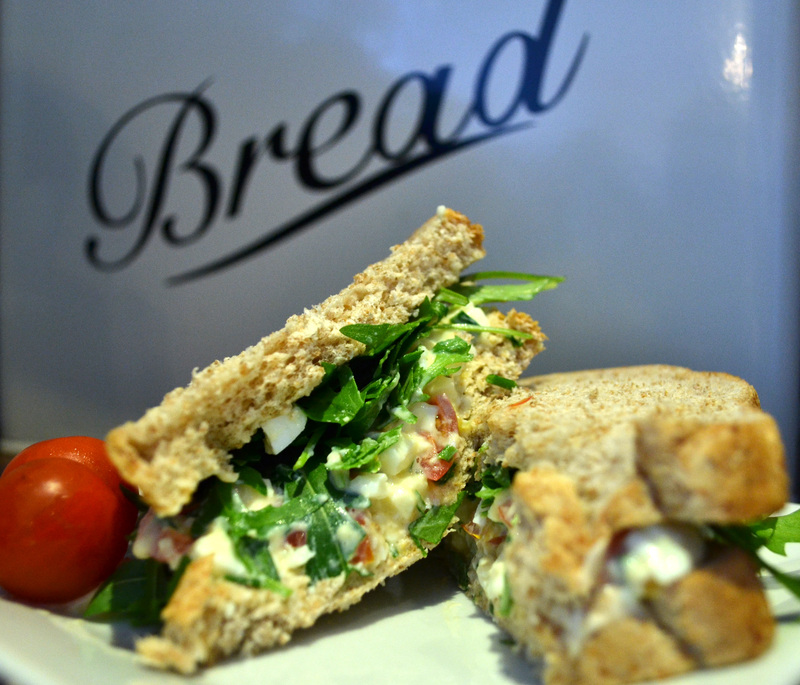 Sandwich the egg mixture and rocket between two slices of bread and enjoy. Top tip: The bread could be substituted for pitta bread, bagel, crumpets or crispbreads (adjusting the points as necessary).